Thanks to world trade, there is another new invasive, destructive insect flying around in North America. 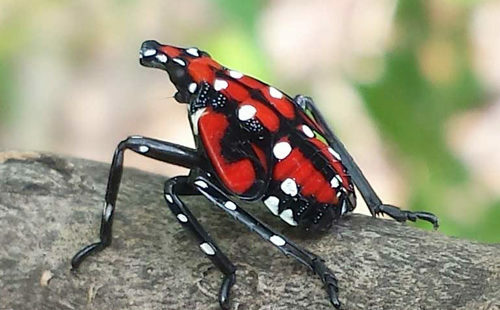 The spotted lanternfly was likely introduced around 2012 in eastern Pennsylvania via some egg matches attached to some shipping crates from China. According to the latest published information, these “planthoppers” are now found in Pennsylvania (2014), New York, (2017), Delaware (2017), and Virginia (2018). Since the ranges been expanding rapidly, it will be a minor miracle that this insect species can be eradicated before they colonize all of North America. Since the egg masses can be transported great distances, outdoor enthusiasts should be on the lookout for the first of these pests to arrive locally. The nymphs begin black with white spots on their legs and then their shells become red with white spots. The adults have a yellow abdomen, with wide, black bands on the top and bottom and are about one inch long and 1/2 inch wide. Adults also have two pairs of wings with black spots on the insides of both their gray forewings and scarlet red hindwings. The outer third of the forewings have a black, onionskin pattern and the hindwings have a white line separating the scarlet inside half and are edged in solid black. They affect trees by feeding on the Phloem layer of their stems and leaves, robbing the plants of nutrition produced by photosynthesis. In the process they also excrete a sweet fluid known as “honeydew”, which attracts pollinator insects and facilitates deadly molds and diseases. The lanternfly has an appetite for cultivated and wild grapes, peaches, apples, cherries, dogwoods, lilac, and certain valuable timber trees, including walnut, birch, maple, and dozens of others. However, they are particularly attracted to the Tree-of-Heaven, also from China – especially females of the species, because of the fruit only they produce. The current range of the Tree-of-Heaven includes all of the continental U.S., except Vermont, Montana, Wyoming, and the Dakotas. Also known as stinking sumac, stinkthree, Chinese sumac, or varnishtree, it is also an invasive species that is a cause of concern. The name comes from the vile smell produced by the male flower. 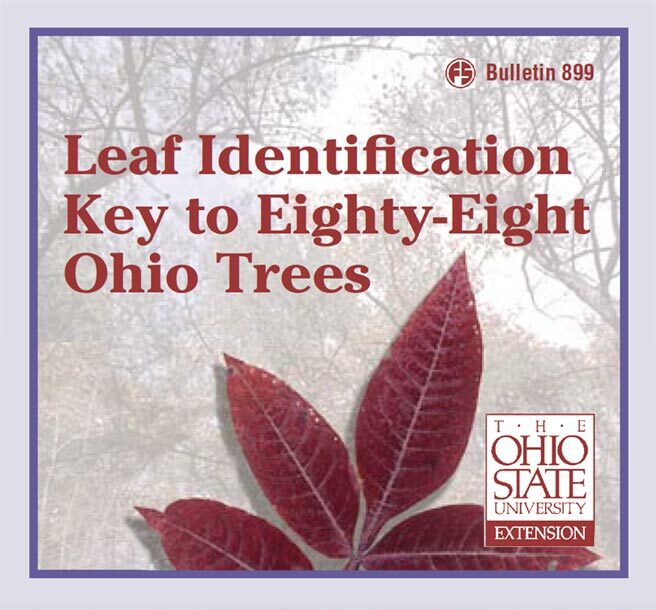 According to an Ohio Division of Forestry fact sheet, the tree was imported into the U.S. to provide food for silkworms, which did not thrive, but the trees did. They do especially well in waste areas with poor soil, which have an absence of shade and competition. The tree produces chemicals in their leaves that are toxic to other plants. They spread both vegetatively through its roots and from the abundant seeds that are produced, sometimes numbering 300,000 per year per tree. So far, the lanternfly does not seem to have any natural enemies, other than the predatory wheel bug, certain stinkbugs, and people who are encouraged to kill them on site when they are encountered . However, the majority of these gregarious swarms can quickly escape by jumping away when the first of them are swatted. An eradication strategy being employed where the insects are found involves cutting down 90% of the Tree-of-Heaven specimens to concentrate the spotted lanternfly on the remaining plants. There, most of those present can be collected on sticky traps were killed with an approved insecticide treatment. In the Korean Peninsula where the spotted lanternfly has become a recent pest, parasitic wasps have been found to attack nearly 70% of the egg masses when used as a biological control.